The patch below is pre 1905. 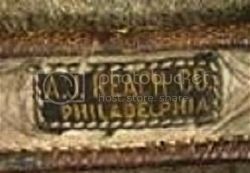 Note the increased space between "Phila." and the baseball logo and the "A.J. Reach" at top fits easily within the seams of the baseball logo. All the patches above show the "A.J. Reach" overlap the seams by a fair amount. There are quite a few of the earlier examples on JD's site. http://www.baseballglovecollector.com The keystone logo was used quite early on their balls and bats. Gloves may have been the last to be identified, possibly some time in the 1890's. The early example below is an anomaly to me. Reach did not make uniforms so it is hard to reference the evolution of their cloth patches. Reach did stamp some of their earlier equipment simply with "A.J. 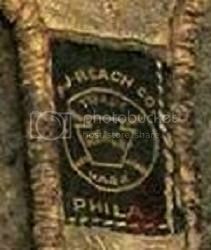 Reach Co." This patch may have been a reflection of that. The takeover by Spalding may also have influenced the Reach logo design in some way since both were competing for official league baseball status. 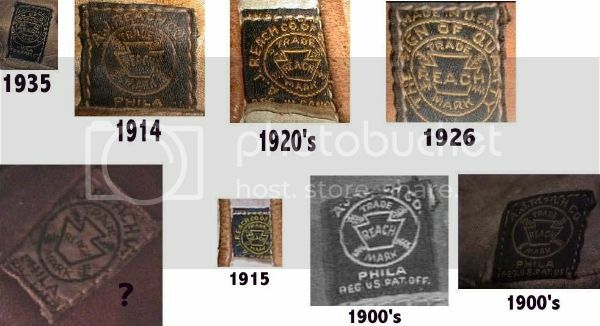 The last patch you posted is likely to be an early to mid 1890s patch. I've seen two like that and they were both very early models. One is a catcher's mitt. I'll have to dig to see if I can find an image, but I think it's out there somewhere, maybe on JD's site. Last edited by mikesglove on June 6th, 2013, 8:45 pm, edited 2 times in total. Yup, that's the one (catcher's mitt). I believe it is in the collection of the BBHOF, or a very similar mitt. An interesting feature of the catchers mitt above is the full perimeter lacing to easily access the padding. 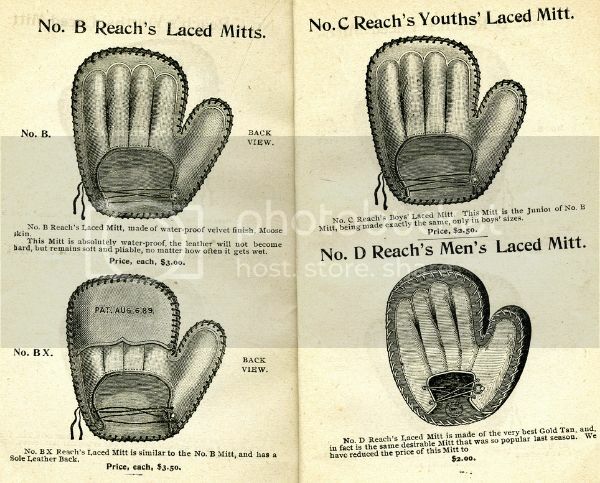 Below is a 1890's catalog illustration of the mitt. Reach was innovative in incorporating that design when other manufacturers were using heel lacing or completely sewn perimeters. Wondering if that whitish patch with a ? could possibly be for a Canadian line? I know that I've seen some later (30's-40's) Reach gloves with the white tag and they said Canada. Maybe this was a earlier line?? I always thought the white ones were Canadian. Does anyone remember who made that collage? Should we make a newer or updated one? I think Joe K made that collage for his site a few years back. I'm not sure if he's still actively collecting or not.